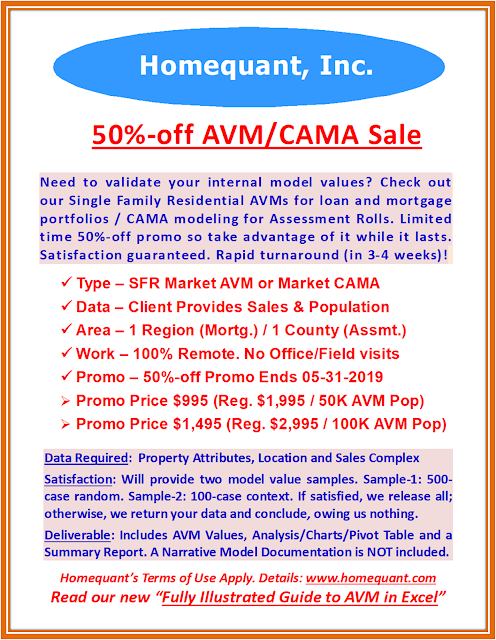 ORLANDO, Fla. - Aug. 26, 2015 - PRLog -- Homequant.com, the inventor of valuing user-defined subjects with actual comparable sales, is pleased to announce the expansion of its coverage from 30 to 60 major markets. Additionally, this expansion has been more broad-based, extending it to its two subsidiary portals – LocValu and TownAnalyst – as well as its on-the-fly home value solution, 30-Second HomeValu. The new coverage includes Austin, Bergen County (NJ), Cambridge, Columbus, Fort Worth, Hartford, Indianapolis, Memphis, Middlesex County (NJ), Milwaukee, Oakland, Pittsburg, Pontiac, Raleigh, Riverside, Sacramento, San Antonio, San Bernardino, San Jose, St. Petersburg and Tucson, to name a few. Since Homequant defines its major markets by the county as a whole, certain counties may cover more than one major city. Homequant.com is not only an excellent market knowledge tool for the current and future homeowners, but is also great for appraisers, assessors, analysts and brokers needing quick validation of their existing values. It’s great for appraisal reviewers and hearing officers as a QC/review tool. Needless to say, it’s perfect for mortgage professionals needing a “first look” valuation. Unlike econometric AVMs, it provides total transparency. Unlike BPOs, it’s backed by a sophisticated valuation system. As usual, everything is in plain English, presented in an easy-to-understand format, without the usual appraisal jargon. And, it’s all free and requires no registration or login whatsoever. People on-the-go will find Homequant’s mobile apps – for both Android and iPhone – extremely useful. Downloadable links are available on their site. ORLANDO, Fla. - Aug. 21, 2015 - PRLog -- Homequant, the inventor of valuing user-defined subjects with actual comparable sales, is pleased to announce the launch of its newest solution for the current and future homeowners: TownAnalyst.com – a free assessment and market analysis portal that seamlessly connects the two pieces together, allowing homeowners to understand if and when their hometown is over, under, or fairly assessed in line with the county’s statutory assessment ratios. TownAnalyst.com covers all of Homequant's 60 major markets. If a county has a statutory residential assessment ratio of .85, all towns within the county must be assessed at (or very close to) that ratio. If town A is assessed at .81 while town B is assessed at .89, the assessment roll would be inequitable. In other words, an assessment roll must be fair and equitable and as such requires all towns therein to closely follow the statutory ratios set forth by the county legislature or any other governing body in charge of setting assessment ratios. Since sales and assessment ratios are computed off sales, TownAnalyst.com is designed to allow users to adjust all sales to the taxable status date so the county’s values and sales are comparable and the resulting ratios are statistically significant. For example, if the status date is 07-01-2015, all sales, pre and post, will be adjusted back and forth to that date, factoring in the time adjustment. Instead of displaying one median or a weighted average ratio to conform to the statute, TownAnalyst.com is additionally designed to show the entire percentile distribution curve of the ratio, meaning 1st to the 99th percentile with the median, thus splitting the curve at the midpoint. As such, a user can instantly see if the lower end of the curve is anomalous to the upper or outer end of the curve and vice versa. Compensating error is a classic problem with many assessment rolls; for instance, over-assessment on one side of the curve often compensates for the under-assessment on the other side, nevertheless forcing the median ratio to remain deceptively conforming. Obviously, such incidences would be quite evident on their portal, alerting users to carry out further research, including working up the subject on the Homequant site with a set of optimal comps. Of course, those who need help with market analysis only will find the sales analysis tool extremely easy and effective. All analyses are performed at the Town level to avoid having to deal with comingling of dissimilar crowding. Since a year’s worth of most recent sales have been provided, time adjustment would be critical. It’s a hands-off process if users accept the default time adjustment and the valuation date; or else they can override both with a positive/negative time and a forward/backward date. The resulting output will be displayed in tabular form as well as spatially. The tabular output additionally contains the full distribution of the three most important quantitative variables – land square feet, building square feet and building age. When the County Market Value is available, the spatial chart displays the color-coded percentile distribution of the Sales Ratios (County MV to Adjusted Sale Price); otherwise, it presents the spatial distribution of the Sales. A Flash Demo is provided to help with navigation while the Help screen addresses the conceptual as well as navigational issues at length. Of course, everything is still in plain English, presented in an easy-to-understand format, without the usual appraisal jargon. And it’s all free and requires no registration or login whatsoever.